A man who climbed through a window to abduct a three-year-old girl from her Childers home, south-west of Bundaberg, has been sentenced to four-and-a-half years’ jail but will be eligible for parole in August due to time already served. Eden James Kane snatched the child while she was sleeping in April 2014, and kept her at his house for two days. 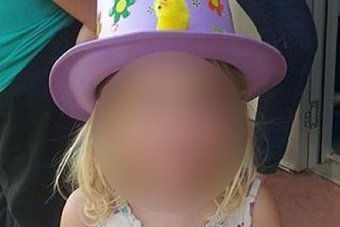 Her disappearance sparked a state-wide child abduction alert before she was found wandering alone at the local showground in the middle of the night. In sentencing in the Brisbane District Court, Judge Nathan Jarro described the abduction as a “terrifying ordeal” for the girl, and said the offending was unfathomable. “You should obviously be thoroughly ashamed of your actions,” Judge Jarro said. “Your actions, Mr Kane, were reckless and they were absolutely foolish. “To think you were entitled to go into someone’s house and abduct one of their children and have that child over the course of two days is beyond comprehension. Judge Jarro said the abduction had long-lasting impacts on the girl and her family. “She can, for example, no longer sleep in her own bed,” he said. The court heard Kane did not know the child or her family and chose her “at random”. When the girl was found, her hair and toy dog had been washed. The court heard the pair watched movies and the child slept twice in Kane’s bed, but there was no evidence she had been assaulted. When she was found, she had been crying for her mother. Kane’s defence lawyer argued his client had “reduced moral culpability” because of his deteriorating mental health at the time of the abduction. The court heard he had a volatile childhood and a background of alcohol and drug use. The defence argued there was no sexual motive to the crime and the child was “looked after competently” over the two days she was at Kane’s home.